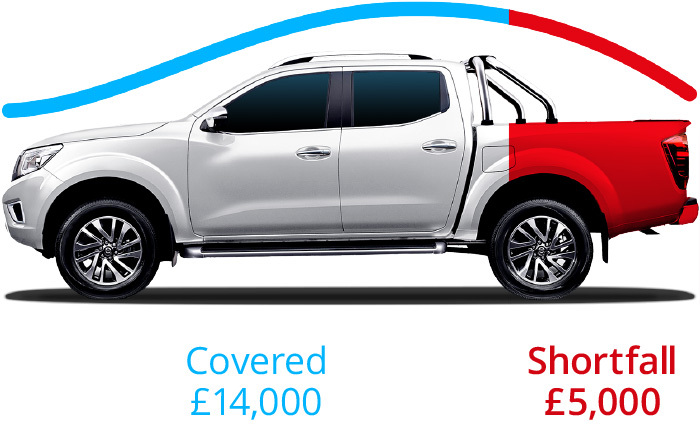 What is Commercial Vehicle GAP Insurance? 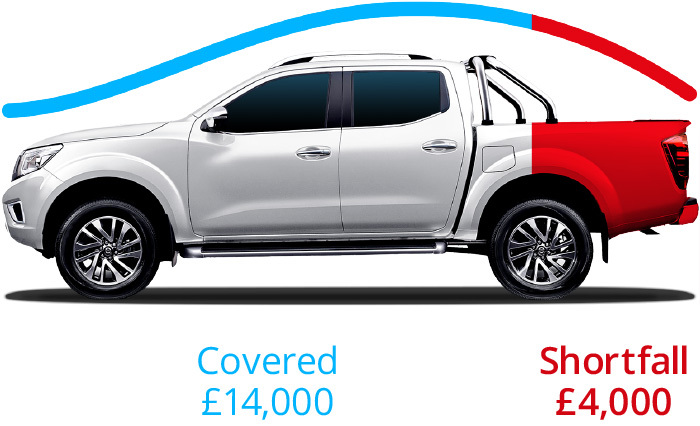 Commercial Vehicle GAP Insurance for your van, light commercial vehicle or pickup can protect you in the event of a total loss. Commercial Return to Invoice GAP will, in the event of a total loss, pay the difference between the comprehensive insurer’s settlement and the original invoice price of your vehicle or the finance settlement figure, whichever is higher at the time. 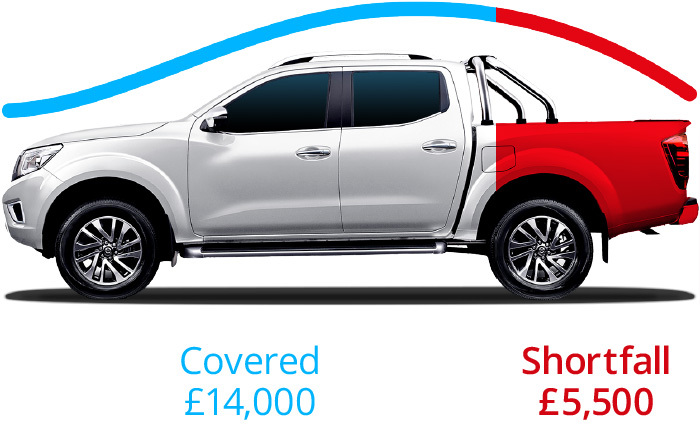 Commercial Vehicle Replacement GAP will instead cover the difference between your motor insurer’s settlement and the replacement cost of a vehicle matching the original at the time of purchase, or the outstanding finance balance, whichever is higher. 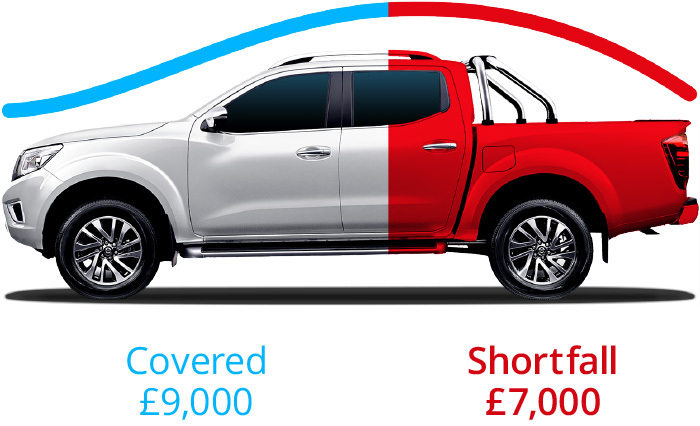 If the vehicle is on a lease or contract hire agreement, Commercial Contract Hire GAP will cover your liability under the contract by paying up to 100% of the outstanding rental payments for the vehicle and cover any shortfall in the market value settlement provided by the insurer. For an additional premium, you can also protect the initial rental on the agreement up to a maximum of £3,000. Do I need Commercial Vehicle GAP? Can I buy Commercial Vehicle GAP? Ferrari, Lamborghini, Maserati, Rolls Royce. Any Commercial Vehicle over 3500kg, Motorcycle, Motor Scooter or Moped. Any left hand drive vehicle and a vehicle which does not meet UK or EC approval or is not commercially available in the UK direct from a manufacturer or its authorised importer or dealer. Any taxi, mini cab, driving tuition vehicle, courier or delivery vehicle of any type or any private or public rental vehicle or any rally, competition or off-road vehicle of any type. Which GAP insurance should I buy if my van is on finance? If your van is on hire purchase or PCP finance, where you can choose to own it at the end of the term, or you do so automatically when the last instalment has been paid, then Commercial Back to Invoice Plus or Commercial Vehicle Replacement Plus would be suitable for you. Alternatively, if the van is on a lease or contract hire agreement, where there is no option to purchase at the end of the term, you would need to select Commercial Contract Hire Plus. I bought my van privately; can I still have GAP insurance? ALA policies can only cover commercial vehicles which have been bought from a VAT registered motor trader or internet broker. Do you cover refrigerated vans? No, we cannot cover any vehicle which is used for the purposes of hire and reward. This includes any form of delivery, including couriers and even if it is the delivery of your own goods.